Ackayisha Calloway’s start in life was turbulent. She underwent heart surgery the day she was born. For the first two years of her life, she was homeless. But today, the 8-year-old third grader chases a bouncing ball in a glass court, using skill, force and a racket to smack it against a wall. At least twice a week, she and others like her — underprivileged children who live in Seattle — play squash, a sport similar to racquetball, in a downtown athletic club. They’re not just playing for the sake of recreation. They’re playing to change their lives. They’re all students with Seattle Urban Squash (SUS), a nonprofit that provides children with free year-round academic tutoring, community service and, yes, squash training. The group is the latest organization to win the Movement 10k giveaway, a campaign to gift $10,000 to nonprofits, charities and organizations significant to Movement employees. Movement team members submit a one-minute nomination video explaining how the charity they love brings life, light and hope to people in need. A committee then picks a winner each month. 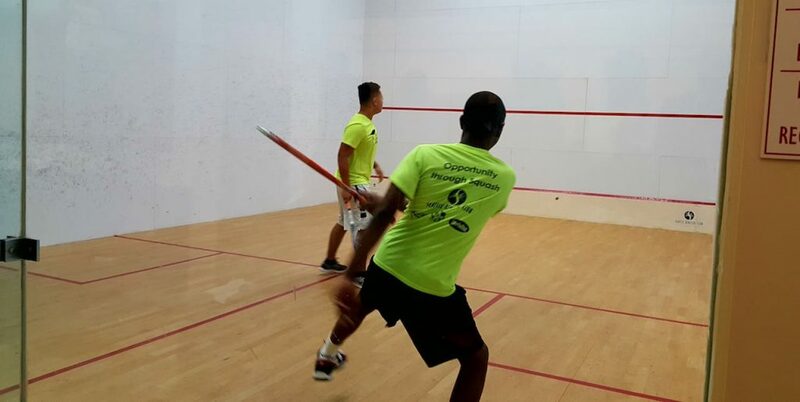 Gary (left) and Abdi, both 14, play squash in one of the courts Seattle Urban Squash uses to teach youth the game. Photo courtesy of Seattle Urban Squash. 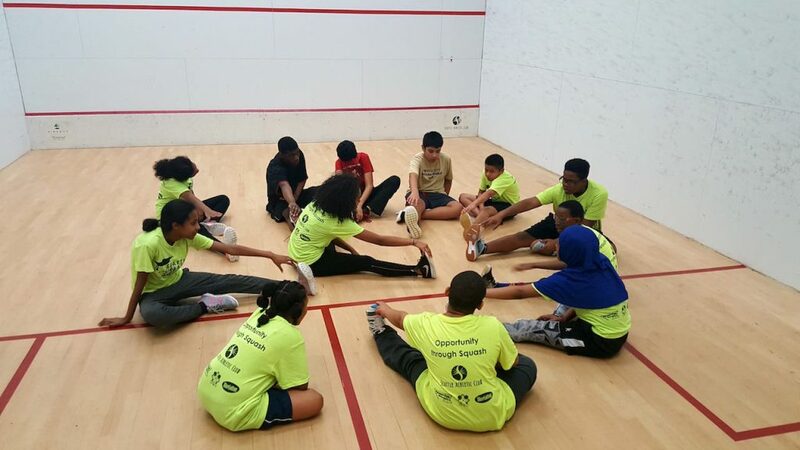 Founded by a group of squash players who wanted to make a difference, SUS aims to close the achievement gap between wealthy and poor schools by giving underserved children the academic reinforcement they don’t get anywhere else. 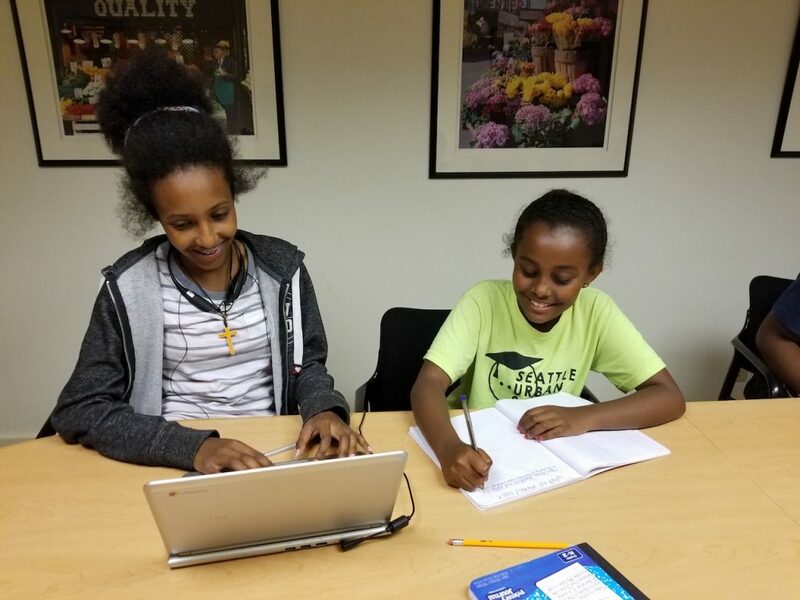 Despite its name, squash is secondary to Seattle Urban Squash’s primary mission of giving kids a pathway to academic success. SUS serves about 24 students who receive free lunch at school. Local athletic clubs provide courts for the group to use, although SUS hopes to raise enough money to open its own facility. Two SUS students do schoolwork as part of the organization’s academic component. Photo courtesy of Seattle Urban Squash. The nonprofit operates four times a week, including on weekends. Volunteer squash players teach students the game, while volunteer teachers and tutors help with homework and test prep. The students learn life skills, too, such as how to manage a bank account and write checks. During the summer, students attend a five to six-week camp where they tour major employers in the area, including Facebook, Amazon and the Gates Foundation, Jacobs says. They’re also taught the importance of giving back by participating in 10 community service projects a year. SUS also takes a healthy bend: students only eat healthy snacks, and playing squash staves off the risk of obesity by keeping them physically fit. Students stretch before playing squash. Photo courtesy of Seattle Urban Squash. SUS will use the 10k grant to help buy a new van, which it uses to transport students from seven different schools. Its current van is already “past its prime,” Jacobs says, and was recently vandalized for the third time.